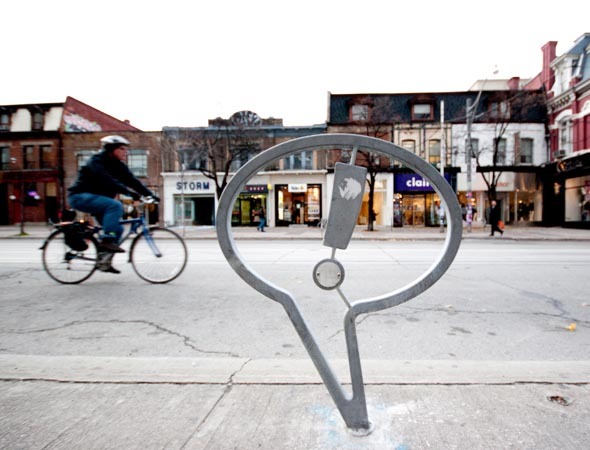 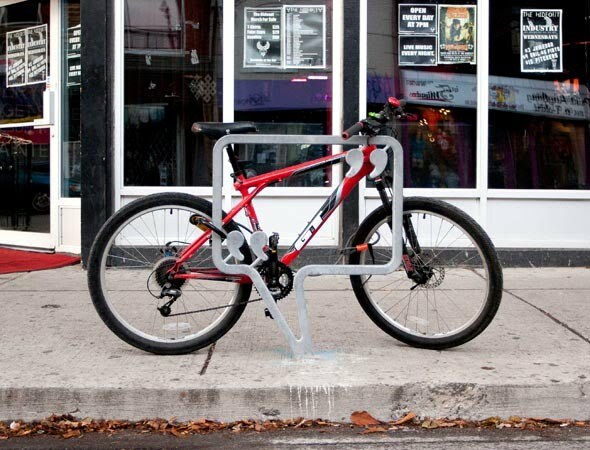 The winning designs of the Ontario College of Art & Design's student bike rack competition have been installed along Queen St. West in Toronto. 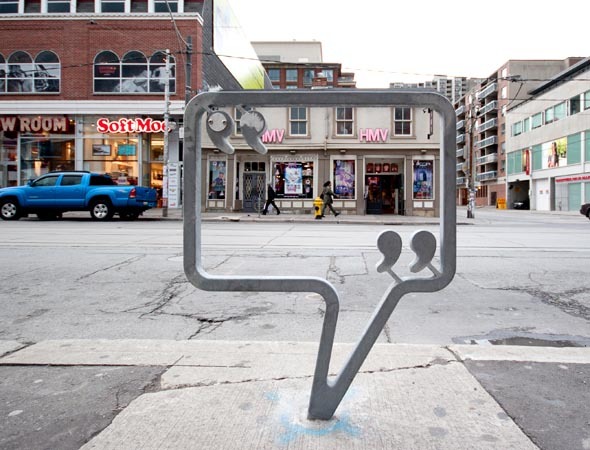 The jovial comic-book style speech bubble designs celebrate and animate the stationary bike, while reflecting an emerging pride in the city's cycling culture. 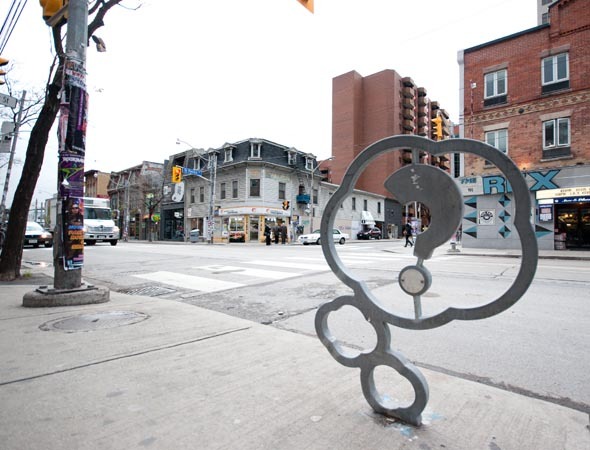 According to the designers, Evi Hui, Olivier Mayrand and Michael Pham who are fourth-year Design students at OCAD, " the inspiration came from Queen Street itself, and the street is a place of culture and expression. 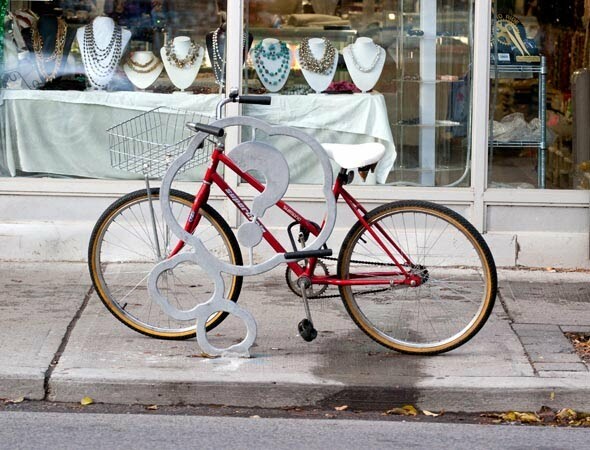 We also drew inspiration from pop culture signs and symbols."